A stunning 25-yard thunderbolt Italian great Alessandro Del Piero wasn't enough to prevent Sydney FC crashing at Perth Glory on Saturday night. The hosts struck first in the 19th minute through winger Chris Harold following a neat midfield run from ex-Manchester United midfielder Liam Miller. Both sides continued to look dangerous and Sydney equalised shortly before the half hour with a goal of outstanding quality. Del Piero was a menace from the outset, and the 38-year-old made the Glory pay when he was afforded too much space. The Juventus legend picked up the ball midway inside the Glory half, lined up a shot on his non-dominant foot and belted a strike into the top right corner of the net. The 25-yard wonderstrike was so impressive it even brought a round of applause from the home fans. But Shane Smeltz's 34th-minute volley was enough for the Glory to secure all three points. 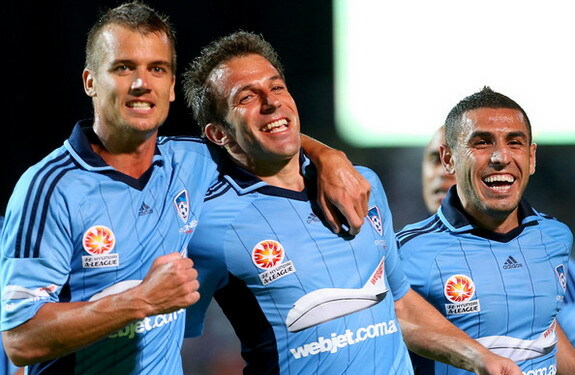 "It was a world-class goal," Glory coach Alistair Edwards said of Del Piero's strike. "Even I enjoyed that. "There's nothing you can do about those things, apart from close him down a bit quicker."